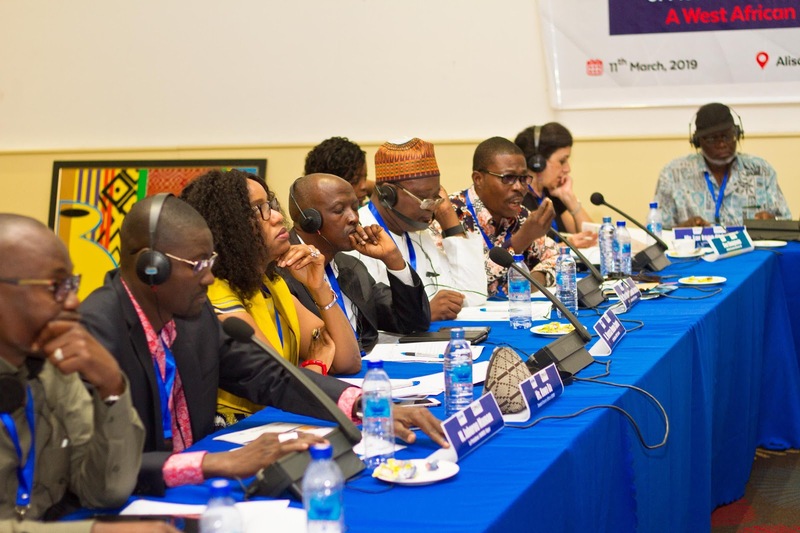 A cross-section of participants at the report launch forum in Accra, Ghana in March 2019. In CIMA’s recent report, A Regional Approach to Media Development in West Africa, co-published with the Media Foundation for West Africa (MFWA), authors Dr. Gilbert Tietaah and Sulemana Braimah note that West Africa is at a “critical juncture” in terms of media freedom, pluralism, and democratic governance. As previously closed states like Gambia open up after years of dictatorial rule, and as leading regional democracies such as Ghana, Nigeria, and Senegal continue to maintain relatively open media environments, the region’s media systems are nonetheless being disrupted and hollowed out by untenable business models, political capture, and a quickly evolving digital space. Like elsewhere in the world, the challenges facing media systems in West African countries do not stop at borders—and neither should efforts to confront them. Advocacy, capacity development, and other efforts meant to safeguard media’s public service function frequently operate at the scale of a local community or single outlet, or in the most ambitious cases, at the country level. This report puts forward the idea that a more concerted regional platform would yield multiplier benefits beyond what individual initiatives could enable. With this in mind, CIMA and MFWA embarked on a consultative process with dozens of stakeholders from 17 West African countries and the ECOWAS Commission, conducted in Accra, Ghana, Abidjan, Cote D’Ivoire, and Abuja, Nigeria. The consultations were intended to collect input on the most critical challenges facing independent media across the region, but more importantly, to identify unique opportunities at the regional level that could help reinforce and unite local efforts to improve the conditions for independent media. As explained by Tietaah and Braimah in the report, more concerted regional coalition-building and collaboration would not replace or usurp local efforts, but would yield multiplier benefits beyond what individual initiatives could enable. Challenges facing independent media are growing with each passing year and increasingly global. Confronting this reality will require new, more collaborative, and cross-border efforts to solve them. To read more about the findings of the regional consultation process in West Africa, please find the digital report HERE and the printable PDF version HERE.